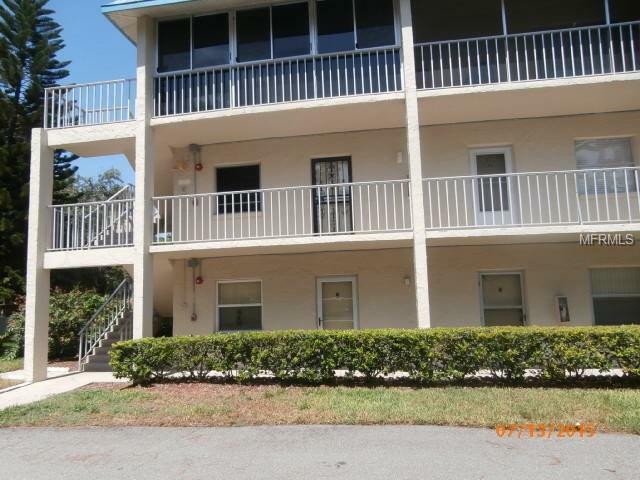 Spacious 2 story, end unit, located in the waterfront community Moorings of Maximo. Approximately 1,700 square feet of living space which includes over 300 square feet of living area that is not reflected in the tax records- The additional space is comprised of enclosed porch areas that are heated and air conditioned. Ceramic tile flooring throughout. Pass through window from the kitchen to the dining area. Stacked washer and dryer in the unit. Pest control included. Moorings of Maximo offers a community swimming pool, shuffle board court, a clubhouse and a tennis court. Easy access to I-275 and minutes to shopping, dining, beaches and parks. Tenant to pay $125.00 Tenant Processing Fee prior to move in. Association application and approval required. The owner will pay the association application Fee. One small pet allowed with owner approval and non-refundable pet fee. Additional Pet Fees $20 Non-Refundable Pet Application Fee. Pet Restrictions Association Approval Required.